Kasama Central Member of Parliament Geoffrey Bwalya Mwamba (GBM) says he will not attend the reported Edgar Lungu rally in Kitwe because Lungu was not democratically elected. The former Defense Minister also complained about the conducts of the courts of law that have started taking sides in political battles. 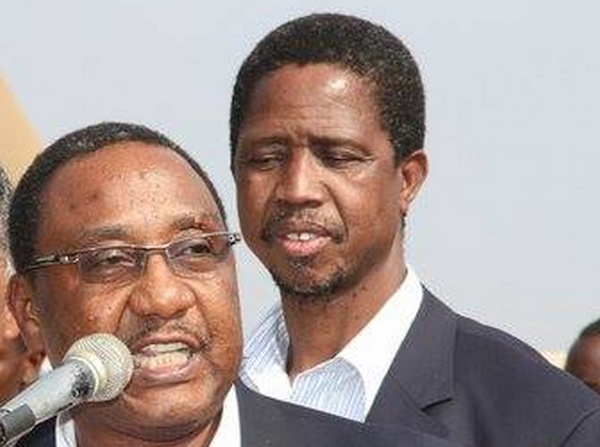 Speaking in an exclusive interview with the Zambian Watchdog, GBM also warned that it will not be easy for Edgar Lungu to get to state house. He said Edgar Lungu has already started showing signs of dictatorship even before he is elected president. ‘I think Edgar did not learn anything from late President Michael Sata. Sata brought everyone together but Edgar is selective. He is not yet there,” he said. I do not depend on politics I’m self-made and I think they know that. Chishimba Kambwili has a right to air his opinion as for me forget. I will assist someone who wants my help,’ he said. He said he would wait for the Supreme Court decision before he can make a decision. I wish to refute claims that are making rounds that I am part of the entourage that will accompany Hon Edgar Lungu MP to launch his Presidential campaign scheduled for Kitwe tomorrow. Unfortunately I have just heard about it in the media and I was not invited nor be informed by anyone from tha Party. Therefore I will not be part of the entourage. Nevertheless I wish them well.